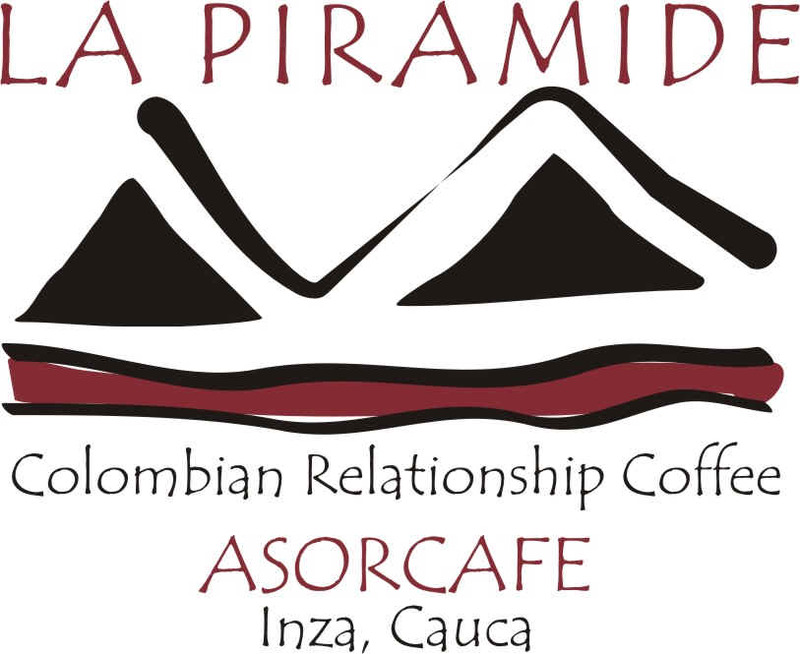 La Piramide, Cauca, Colombia: An intensely sweet and soft relationship coffee with a moderate body. Specific sugar cane, red apple and plum tastes. 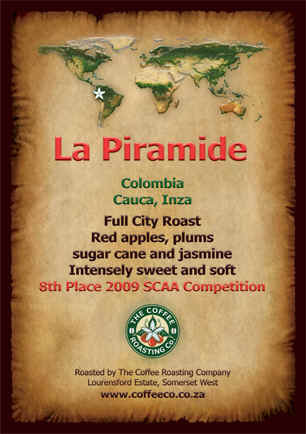 Voted one of the world's top ten coffees (more info) ..... R45 / 250g pouch. 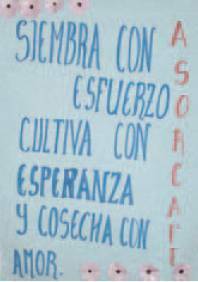 In July 2005 I met Mr. Giovanni Castillo, president of the Asociación de Productores de Café del Oriente Caucano (ASORCAFE) in Popayán who was interested in developing new business relationships. 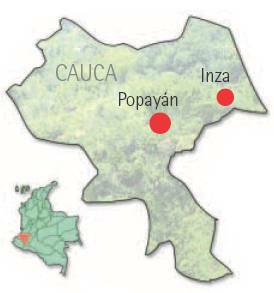 This association is comprised of about 400 coffee growers from the municipality of Inza, located in the East of the Department of Cauca. I knew that the coffee from the Inza area had great potential so I was immediately attracted by the possibility of establishing a relationship with ASORCAFE. As I was talking with Giovanni I instantly remembered the coffee from Inza: extremely sweet, similar to tasting guarapo (a drink made from raw sugar cane), very soft but with a brilliant acidity, with hints of plums and red apples and a very sweet and lasting aftertaste. Back in November 2003 we had the opportunity of exporting a 50-bag lot of Inza coffee under the Abirama Relationship CoffeeTM name and from that moment on the Inza cup profile was carved in my memory. 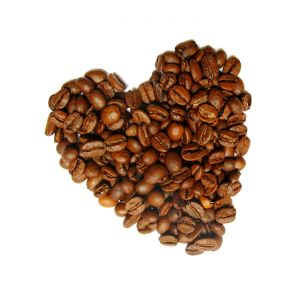 We had loved that coffee but had never been able to develop a direct relationship with the growers of that region. As it turns out, ASORCAFE’s members were the producers of those 50 bags. Based on our knowledge of the region’s potential to produce amazing coffee, and very excited about the possibilities of finally being able to develop a direct relationship with growers from Inza, I invited Giovanni to our office in Bogotá and asked him to bring with him some individual samples. Two weeks later, there he was holding a large bag which contained more than 100 samples from the same number of members. It took us about a month to cup those 100 plus samples, but it was worth it! There were some excellent samples, with lots of red apples, plums and that reminiscent guarapo taste that we have only tasted in this region. Some of the best samples even had some nice spicy notes, like red pepper and paprika and a caramel body. Next step was to arrange a trip to the region in order to get to know the growers better and to have a firsthand feeling of the region. 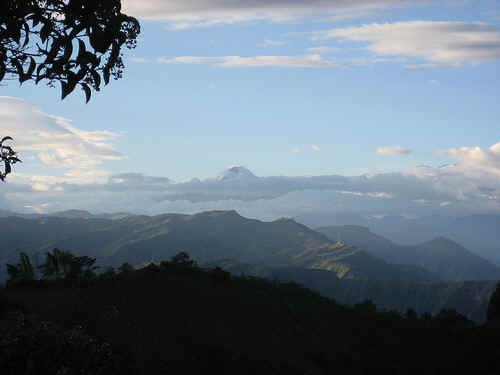 So in October 2005 I travelled from Popayán to Inza, a 100 km drive which lasts about three-hours. 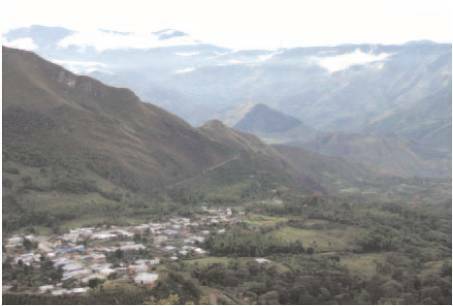 It is an amazing drive, since you begin at 1800 meters above sea level (masl) in the meseta of Popayán and climb over the central cordillera of the Andes up to 3500 masl to the Paramo of Guanacas, where you start the descent towards the town of Inza, which is located at 1700 masl. The vegetation throughout the trip is very beautiful, as you get to see lots of frailejones, small lagoons and many animal species (birds in particular), many of them endemic from Colombia. Giovanni and the rest of the board of directors of ASORCAFE welcomed me in the town of Inza and we immediately started with a visit of the whole coffee growing area. Our first stop was the La Estrella farm, owned by Mr. Neftali Fajardo, whose coffee had achieved third place in the first Colombian Cup of ExcellenceTM held in February 2005. Mr. Fajardo is one of the founding members of ASORCAFE and it shows: His farm is definitely an exemplary one; very healthy trees, good processing infrastructure and very clean and organized. We then headed East towards the towns of Pedregal and San Antonio (still within the municipality of Inza). 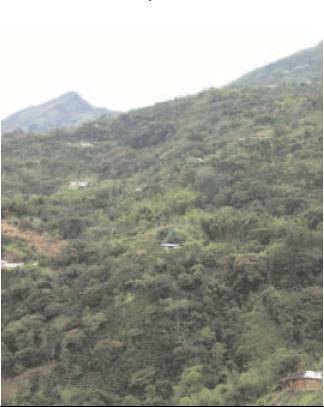 The coffee growing region of Pedregal. On our way there we stopped at several farms, all of them were very small with a maximum size of just 2 hectares. There was a considerable amount of shade as well. The harvest was about to begin, so the trees were full of cherries, although most mentioned that this harvest (their main one) would be smaller than usual. Some farms also had considerable flowering, meaning that the May to July 2006 harvest (their flycrop) would be better than usual. After a two-hour drive we arrived to the town of Pedregal, where ASORCAFE has one of their three purchasing points (the others are located in the towns of Inza and San Antonio). Their warehouse was really something else: it used to be a discothèque so it still had all the lights and even a mirror ball!! After meeting with the local membership we continued our way up and down the hills for one more hour until we arrived to the town of San Antonio. After lunch we went to the local school to meet with over fifty coffee growers. It turns out that they had arranged a meeting with some of the members of the group so that I could talk to them about Virmax and about specialty coffees. As usual, it was a very productive meeting and a good way to learn more about them. At the end of the meeting some growers handed me samples. That was the last stop of my trip to Inza. There, I said goodbye to my new friends but before I left I asked them what name they wanted for their coffee. They replied: “La Piramide”. I was surprised of that name and enquired the reason behind this name, to which they replied: “on the way back to Popayán you will find out why”. So I got in the car and we headed back to Popayán, taking a different route than the one we had come from. It was starting to get dark but when we approached Pedregal the driver stopped the car and asked me to take a look at the scenery. When I looked out the window I discovered the reason for that name. I took a picture of it so that you too can find out why. Pallet: Bitterness, dark chocolate, lower acidity and fruit than the Asorganila. 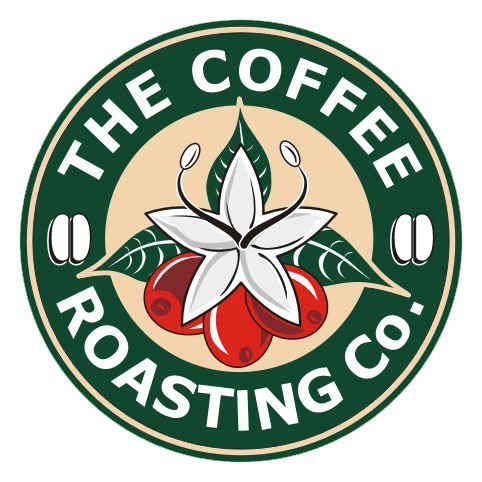 A full coffee with lower acidity and high level of bitterness that can work well as an cappuccino coffee or a after dinner coffee with dark chocolate treats. Red apples, plums, sugar cane and jasmine notes. Intensely sweet and soft, with a medium-high body.